The DA’s obligation to disclose exculpatory evidence in criminal cases is called the Brady rule. It arises out of a case called Brady vs Maryland. In that case the United States Supreme Court held that the due process clause of the United States Constitution mandates the prosecution to disclose to the defense any material evidence favorable on the issues of guilt or punishment. 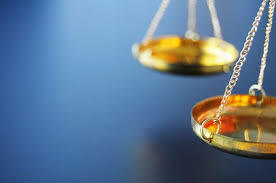 A prosecutor’s obligation to produce favorable evidence to the defense arises principally from the Fifth Amendment’s Due Process Clause but it also derives from the Sixth Amendment’s right to a fair trial. Brady requires the government to produce evidence in its possession that is favorable to the accused, either with respect to guilt or to punishment. Evidence is ‘material’ within the meaning of Brady Case if there is a reasonable probability that, had the evidence been disclosed, the result of the proceeding would have been different. • Undermining the credibility of government witnesses. • Tending to mitigate the punishment. What Does Making “Standard Discovery?” Mean? Evidence can be “favorable to the accused” in a number of ways. • Evidence may be exculpatory if it tends to show directly that the defendant did not commit the charged criminal acts, such as when someone else has admitted committing the crime, or because it may assist the defendant in establishing an affirmative defense. • Evidence may be exculpatory if it may be used to impeach a government witness. Almost any prior statement by a witness may fall within this category if it differs slightly from the witness’s existing testimony… this obviously goes to the witness’s credibility at trial. • Evidence may be exculpatory by actually establishing a significant absence of evidence. The best example of this is would be forensic tests withheld from the defense that point directly or indirectly to another person who could have committed the crime. Whether evidence is favorable to the accused depends on the facts of the case at hand. If the evidence or information in question relates to a potential defense, the experienced criminal defense lawyer MUST articulate how the information may possibly impact the defense strategy AND how it could be favorable in light of various potential defenses. The Brady case itself was an example of a classic case of critical exculpatory information withheld from the defendant. In that case another man admitted to the killing for which Brady was convicted. Brady was charged with a murder committed during the course of a robbery. His lawyer asked the prosecutor to allow him to review the statements made by the another man who was involved and while the prosecution provided some statements, they withheld the one statement in which a confederate in the commission of the killing admitted that he was the one who actually committed the homicide. Brady was convicted and sentenced to death and it was established after the trial that the other man’s statement that he had actually done the killing would – while not establishing that Brady’s conviction for first degree murder was unjust – WOULD have been very relevant to Brady’s sentence. 1. Persuade the prosecutor that the disclosure of Brady evidence should occur in the pre-trial context as there is no way to know what evidence is material until it is ALL disclosed. 2. Educate the prosecutor about the defense, making certain that the prosecutor understands how a piece of evidence fits into the defense to be asserted at trial. While the defense may lose the element of surprise, such as it is, (the prosecutor almost always knows the defense anyway) disclosing the defense forces the prosecutor to review the prosecutor’s own evidence and witnesses, such as cooperating witnesses’ uncharged misconduct, their initial exculpation evidence of the defendant, or their lies to the prosecutor about their own culpability… all are critical information to the defense. If the material is exculpatory, it must be disclosed sufficiently in advance of trial to be useful to the defense. and the trial court may order prompt pre-trial disclosure. The most difficult element to prove is materiality – material evidence does not have to be so strong that one considering it would likely vote for the defendant’s acquittal; materiality requires only a “‘reasonable probability’ of a different result. Please call H. Michael if you have any questions about the topic in this case – Does The Colorado District Attorney Have To Turn Over ALL Of Their Evidence?